I dabble in other formulas, but I always go back to a good matte lip – I just think the finish, the longevity and the pigment in a matte formula means I’ll always gravitate towards them. Sometimes I want something a little less drying though, because my extreme matte liquid lipsticks aren’t always the best for wearing at work all day without leaving my lips in desperate need of a lip balm. For the softest formula, I’d recommend the Clinique pop matte lip (I love Peony Pop), which has a built in primer within the formula – making the texture as light as air. The formula on this isn’t the longest lasting but it’s so comfortable that reapplying is a complete dream. I also adore how the velvet packaging of each lipstick corresponds to the lipstick shade itself. Had to mention Charlotte Tilbs as well, as her matte revolution formula is beyond dreamy and one of the best ones around. My favourite formula of any lipstick right now is the Zelens extreme velvet – they’re so incredibly comfortable on the lips as well as being so saturated in pigment! Being Zelens, the lipsticks also have active ingredients to help treat the lips whilst you wear them, but it’s the formula that I’m really so excited about – the perfect consistency. 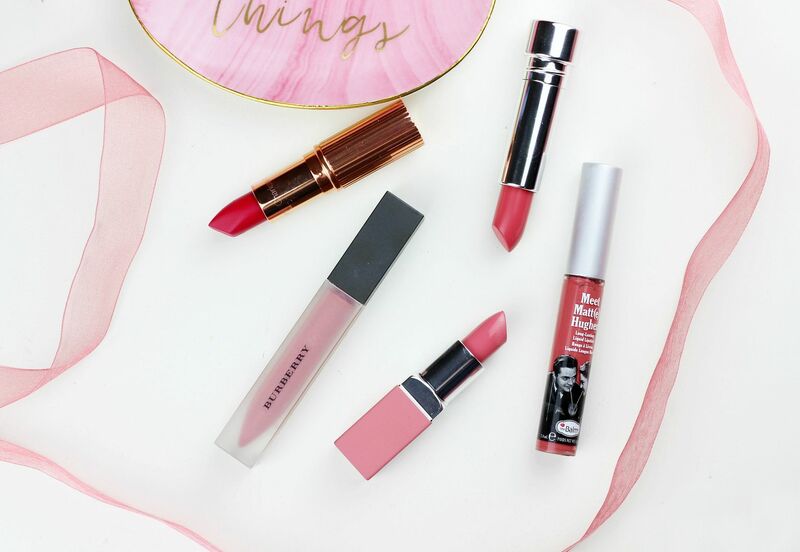 Of course, I had to mention a liquid lipstick or two – having tried so many different formulas from the best to the worst, I think I’ve found the most comfortable lip options around. The creamiest offering is the Burberry Liquid Lip Velvet (I mentioned it more here), which is more like a satin than something too drying and this formula doesn’t crumble, crack or leave lips in desperate need of some balm! I also really like theBalm meet matte hughes formula which I love because it’s so minty which means I love reapplying. The texture of this is really thin on the lips so you can basically not feel it on the lips, as well as it being long-lasting. What’s your favourite matte lipstick formula?